After years of recording podcasts, music and many of my own audio programs, I submitted my first official audiobook to Audible, Amazon and iTunes. I’m thrilled to say that it was approved last week and has already sold 16 copies. Hooray! 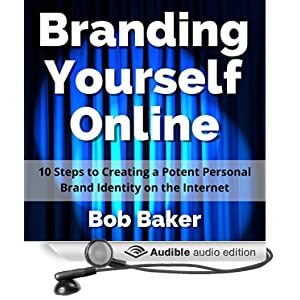 Take a look for yourself here: Branding Yourself Online on Amazon, Audible and the iTunes Store. In case you didn’t know, there’s a great way to get your book on Audible, Amazon and iTunes too. It’s a site called www.ACX.com. ACX is owned by Amazon (so is Audible.com) and is set up as a gateway for publishers of all sizes (including indie authors like me) to make their audio work widely available. After you sign up for an ACX account, you’ll have the option to <a href="http://www.acx buy zithromax.com/help/authors-as-narrators/200626860″ target=”_blank”>record and upload the audio files yourself, or you can find voice talent and producers on ACX to do that for you. I have to warn you: ACX has a lot technical requirements that must be met to get approved. There’s a learning curve to recording an audiobook if you’ve never done it before. But ACX gives you a lot of helpful advice. For many authors, hiring voice talent who can also record to specifications is the better way to go. Only you can decide. So go to www.ACX.com and have a look around.